Hello loyal readers, friends, family, and strangers. The Veterans Listening Project, which I am deeply invested in, goes live right after Turkey Day, on the National Day of Listening. Become a fan of us on Facebook, not only will this help our visibility, it'll help me towards winning a gift certificate at BHPhoto, and whatever I get I'll use to photograph you! Follow VLP on The Twitters, and for extra points, RT us when we announce the new projects on the day after Thanksgiving. Subscribe to our RSS feed, by going to our website. 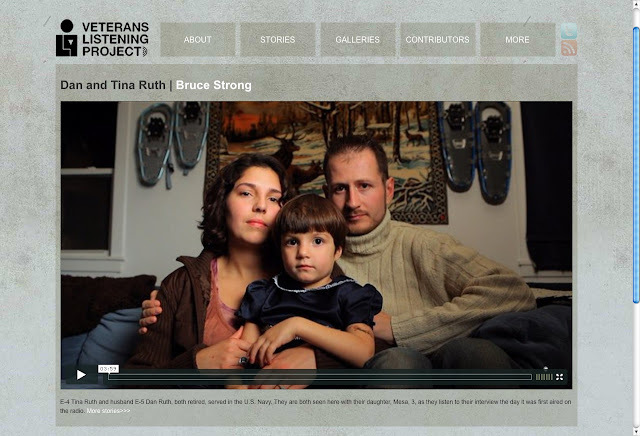 Lastly, CHECK US OUT ON NOV 27 and listen to the incredible stories our vets have to tell. Thanks for the help everyone, all of the people making the VLP possible, including me, truly appreciate it.